Let us handle everything for you! Whether it is advertising and tenant placement, or taking emergency calls at 2:30 in the morning on a given day, our management services are all-inclusive and reasonable. We include a comprehensive assortment of services, and we understand every property is unique. Keeping that detail in mind we appreciate the requirement to be maintain flexibility for our clients. There are many differences that make us stand out from our competition. 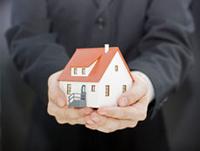 Skyline Real Estate & Property Management specializes in residential property management. We deliver an affordable solution to your property management needs. Our service platform is designed to save you time and money. We realize how demanding owning a rental property can be for some. Our full service, all-inclusive property management package is designed to keep the client in mind. This allows us the chance to adapt and work with each homeowner, landlord, and resident at an intimate level. As a client you will have all-inclusive access to a property manager 24/7/365. We are ready to meet with you! Schedule a consultation at the location most convenient for you (your home), at a time that works best for you. Interviewing Realtors and other property management firms can be stressful and time consuming. We are happy to build a complete analysis of your property, including an unbiased sell vs. rent comparison. We will answer all of your questions and review the process in detail, leaving you totally educated on what we will do for you. Lastly, while visiting your property we will offer our professional opinion, along with any recommendations (i.e. ; painting, flooring, cleaning, etc.) to assure an effective listing. Skyline Real Estate & Property Management will set out with the objective to lease your property to the most qualified resident possible, for the highest feasible rent. We anticipate achieving this objective in 7-21 days with robust preparation combined with a hard-hitting and targeted marketing plan. Our advertising is second to none, fueled by Matterport 3D Virtual Tour technology. We will deliver a comprehensive, user-controlled 3D tour of your property online. We will work to perfectly syndicate your property across 60+ available platforms in an effort to reach maximum online exposure. 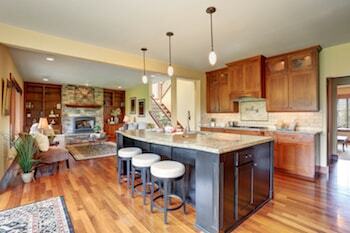 We will organize all showings, including pre-qualifying all attracted parties before showing. If you or a resident is living there, we will promise a notification at least 24-hours before showing and will work with you to impede as little as possible on your daily life. The work we put into your property on the front end is tremendously significant. We will look past all of the superficial data presented on an application and complete a deep audit. Our objective to place the right person in your property is far more important than merely placing somebody in there hurriedly. Our promotional efforts will lead to showings, which will kickstart our application process. Once a party is interested in applying, they will be directed to our user-friendly online application process. We complete a full credit check, background check, eviction history, income verification, and residential rental history certification. As the homeowner you will have the chance to examine every application in its totality as well as be involved in the decision-making process. Once you have selected an application, we will streamline the rest of the process! We will construct the lease agreement, make sure our entire pre-move-in checklist is complete, and conduct an exhaustive move-in inspection, accurately verifying the overall condition of the property. As the homeowner, you will have access to all of our saved reports for your property, at any point in time. Skyline Real Estate & Property Management is here to save you substantial amounts of time, to make sure rent is received, assure you are getting the greatest deal for your money with third party contractors, and most notably safeguard your valued asset. Each month, like clockwork, your rent will be distributed to you electronically and into the bank account of your choosing. If a resident makes a late payment past their given grace period, they will be charged a late fee. 100% of the late fees will be distributed onto the owners. Skyline Real Estate & Property Management will handle all of the tenant day to day phone calls, text messages, emails, and other assorted methods of communication. During the course of the lease agreement we will arrange periodic property inspections, which will include pictures and an inspection statement and will be shown` to all homeowners. One of the benefits of working with us is you will have complete and full control over your property. As your property manager we want to keep your finances accounted for and under control. We will methodically track all accounts receivable and payable, along with upholding a stringent record of all estimates and invoices. Please click the link below to locate our homeowner portal. Within our portal you will be capable of accessing many features, including real-time access to your financial records for your property. We do an exceptionally comprehensive check with our application process and upfront screening, to do our very best to not end up here. In the unfortunate instance we do end up here, or if you are already at this point and approaching us for aid, we can lead you past this process and make it at simple as possible. While we do not charge a fee to manage the eviction for you, the homeowner will be liable for the expense of the attorney. We will directly interact with the attorney, consistently work to get the residents out of the property before we go to court if at all feasible and keep you up-to-date during the whole process. Chicago, officially the City of Chicago, is the third most populous city in the United States, after New York City and Los Angeles. With over 2.7 million residents, it is also the most populous city in both the state of Illinois and the Midwestern United States. It is the county seat of Cook County. The Chicago metropolitan area, often referred to as Chicagoland, has nearly 10 million people and is the third-largest in the United States. It is the birthplace of the skyscraper and perhaps the most influential architectural city of the 20th century. Chicago created the first standardized futures contracts at the Chicago Board of Trade; today its successor has evolved into the largest and most diverse derivatives market in the world, generating 20% of all volume in commodities and financial futures.